The rare cub - whose gender is yet to be revealed - was welcomed by parents Lima, 5, and Bernardo, 7, in January. 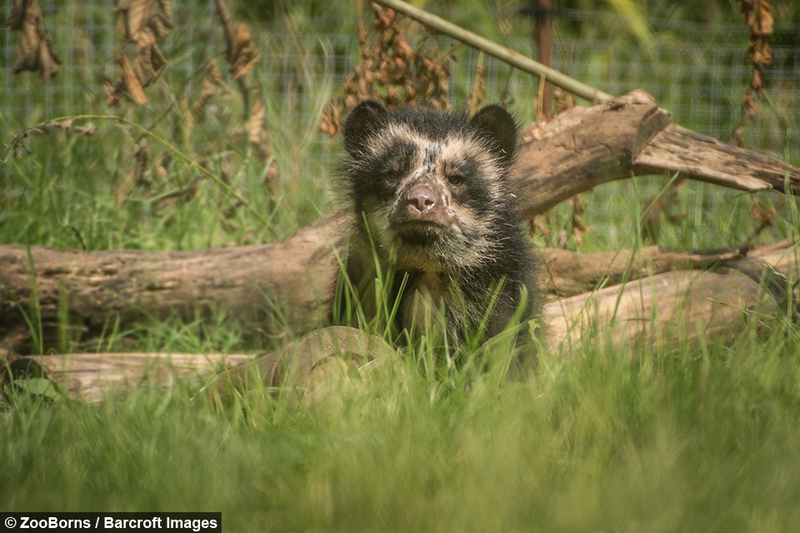 After spending months snuggled away in its den, the cub has begun to explore its new home at Chester Zoo. 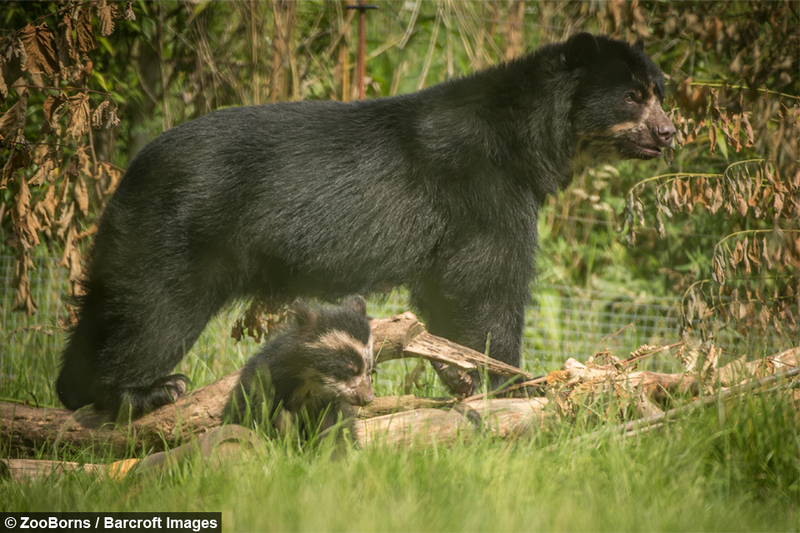 Tim Rowlands, curator of mammals at the zoo, said: “The cub was tiny when it was born but Lima is doing a fantastic job, particularly given that she’s a first time mum, and the cub is developing quickly. 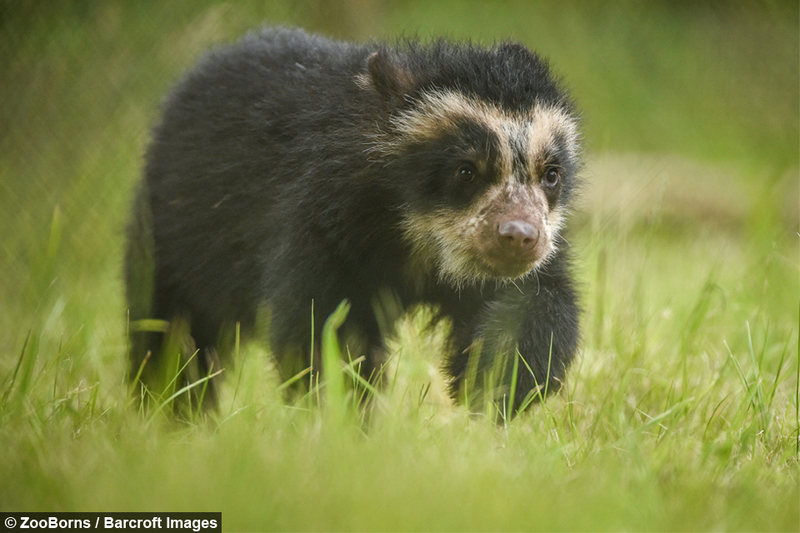 The Andean bear, made famous by the classic children’s character Paddington Bear, is the only bear to inhabit South America. 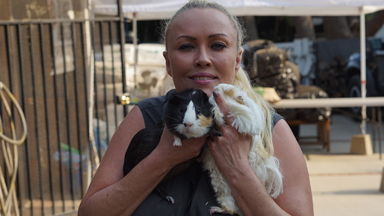 They can be found in Venezuela, Colombia, Ecuador, Peru and Bolivia. 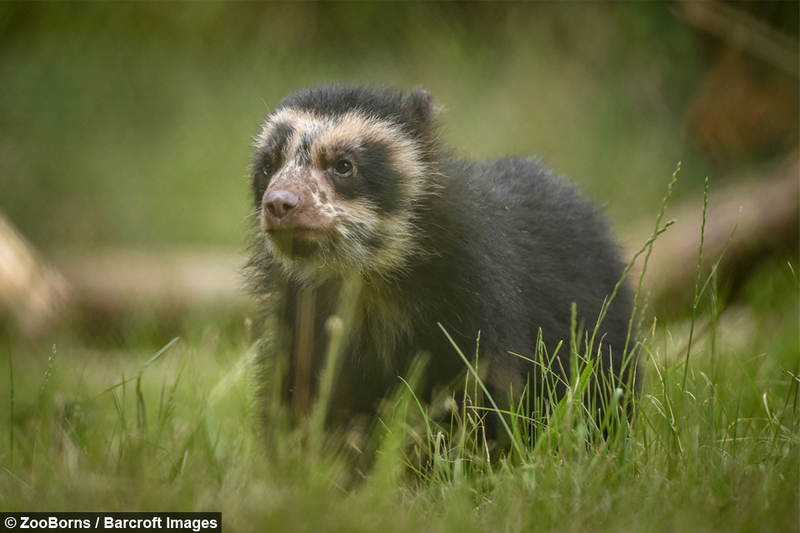 Listed as vulnerable to extinction by the International Union for the Conservation of Nature (IUCN), conservation experts from the zoo say the birth of the cub is especially significant for the species. Population estimates for the species were last made a decade ago, placing wild numbers at just 20,000. 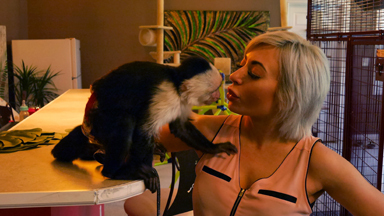 Conservation scientists are convinced that their numbers have continued to decrease but are unsure of exactly how many remain in the wild. 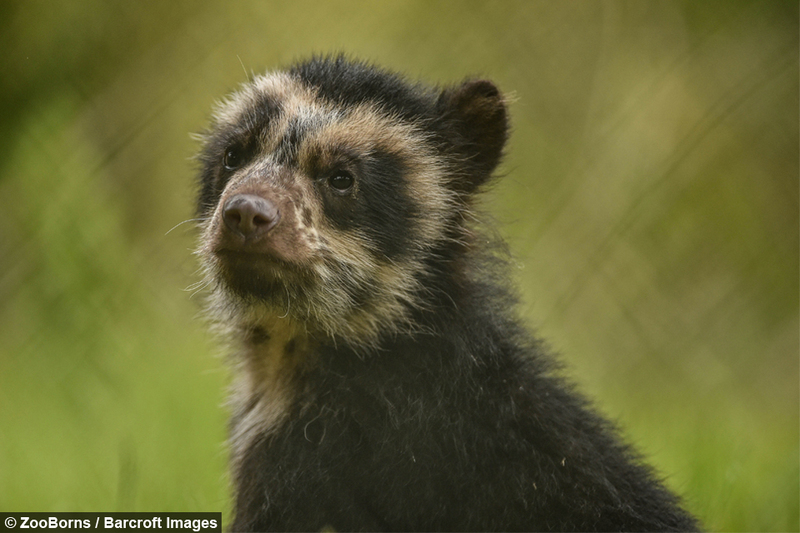 Rowlands said: “Andean bears are still something of a mystery to conservationists and not a huge amount is known about them. “By working closely with the bears here, breaking new ground with this breeding, we’re constantly learning about this amazing species. 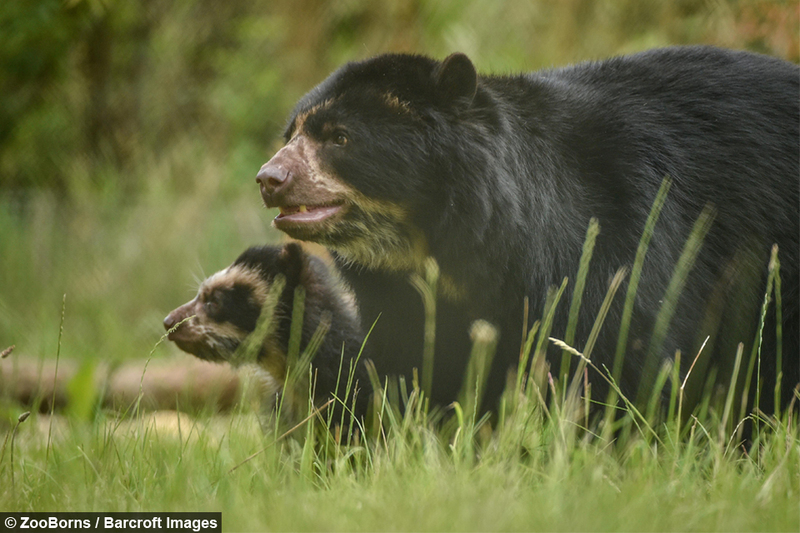 The main threat Andean bears face in the wild is habitat loss - 30 per cent of forests that contain sufficient food for the bears have disappeared in the past 20 years. Hundreds are also illegally killed by farmers and business owners ever year, largely to prevent them raiding crops and livestock. 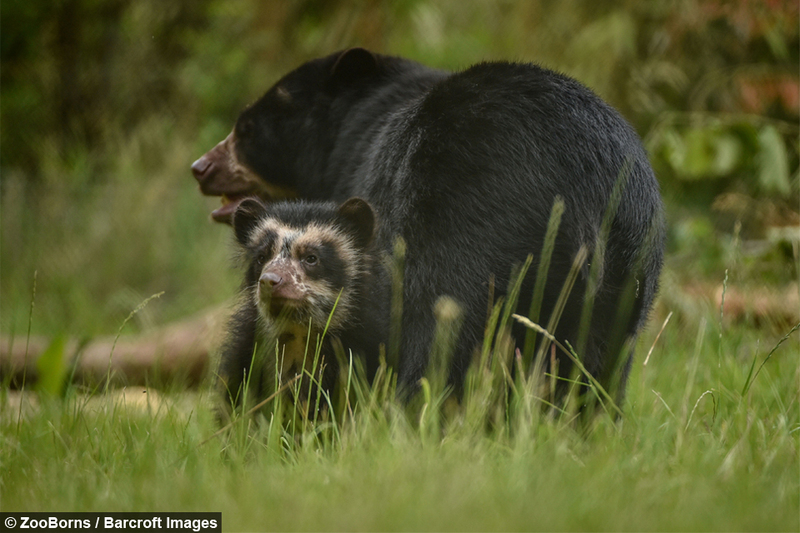 Chester Zoo are currently working with Oxford University’s Wildlife Conservation Research Unit (WildCRU) to study bear-human conflict for the first time in an area of dry forest in Bolivia.